We all want to win as much money from the bookies as possible. If we can keep the risk levels low while doing it then this is ideal. You may already know that matched betting is a great way of making profit. Yet, there will be situations in which you can’t use the standard approach. What should you do in these cases? It is a good idea to have as many strings to your bow as possible. The more ways you have of making a profit the better. So what idea are we looking at here? There are some instances when advantage play in matched betting can save the day. It is also something that can give you another option once you are experienced in matched betting. Either way, it is something that it is well worth knowing about. How does it work? And what do you need to do to get started? 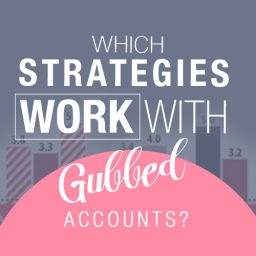 Let’s look at what this strategy is all about. 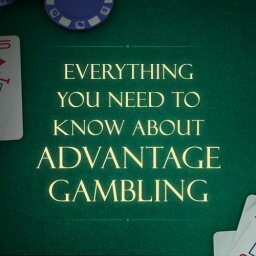 What is Advantage Play in Matched Betting? 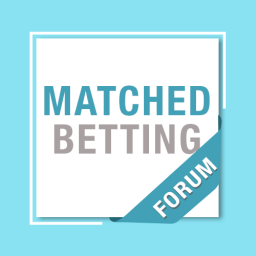 As the name suggests, this is a type of matched betting. 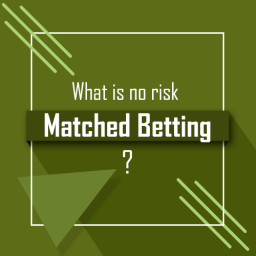 However, there are some big differences between advantage play in matched betting and other matched betting approaches. The most noticeable difference is that there is no lay bet involved. This might seem strange at first. 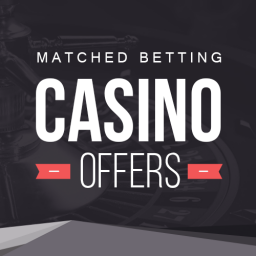 After all, you may be used to matched betting being made up of two sides every time. However, this strategy is different. You only need to place your bet with the bookmaker. There is no need to use Betfair or any other betting exchange. So, there is no lay bet at all. How does this work? It is all about extracting the most value. To do this you need to consider the odds carefully. Getting the right odds will put you on the track to profits. Even more importantly, you need to make the most of bookmaker offers. These deals are giving you free money to take advantage of. They are the foundations for building a profit from advantage play in matched betting. In some situations, you might decide to use this strategy. I will look in a minute at why you might do this. The other possibility is that you can’t place a lay bet for some reason. Maybe there is no market on the exchanges for it. Or perhaps there is no liquidity on the exchange. You might also find that the bookie’s offer isn’t suitable for a lay bet approach. For example, some deals require you to place bets on several events taking place at the same time. In any of these cases, this is the solution you can turn to. But is it something that suits your personality and betting needs? 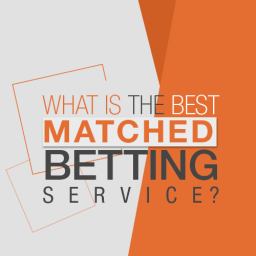 You may wonder who exactly advantage play in matched betting is right for. After all, each different betting strategy tends to be right for certain people. Is this an approach that you should be interested in? There are actually some different types of situation where this can come in handy. One example is when you want to save time. This is typically something that will interest advanced users. So, let’s says that you are comfortable with basic matched betting techniques. You may now want to get more offers more quickly. 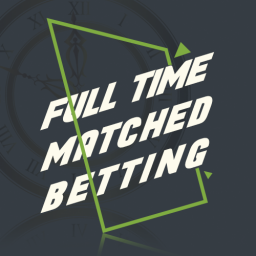 Advantage play in matched betting lets you do this. Not all of us can spend a lot of time on placing bets every day. If you are under pressure at work or at home this is ideal. You just need to place a bet with the bookie and wait for the result. This chops a fair bit of time off the whole process. The reason why it is faster is that you don’t need to place a lay bet. This seriously speeds up the whole process. However, this isn’t the only case when it can come in handy. Another example is when you come across an offer that can’t have a lay bet on it. This applies to the likes of Request a Bets. In these cases, you have to look at the advantage play approach to place your bet. In terms of your personality, why would you make this decision? The likelihood is that you are happier to lose some bets. This isn’t a system build on small but constant wins. Rather, you will win some and lost some. The overall idea is that the results average out into a handsome profit over time. So far, so good. But how does this actually work in real life? What steps do you need to take to make the most of this strategy? The good news is that it is pretty easy to get started with. We could start by looking at the example of a Coral Virtual Sports offer. So, let’s say that the deal involves us putting a £20 bet on a certain horse. Naturally, if our pick wins the race then we pick up a nice profit. Since you can’t lay Virtual Sport bets off, what is your best strategy to avoid losing? The smartest idea is to place the qualifier using the minimum odds allowed. This means that you can expect odds of 2.0. What this means is that you should win the qualifying bet about half the time. You will lose it the rest of the time, of course. On those occasions where it loses, you will lose your stake. When you get a free £20 bet, you want to get as much value out of it as possible. How do you do this? Well, you should be looking at selections with odds of 4.0 or above. Remember that free bets are always done on a stake not returned basis. This gives you a 25% chance of making a profit using the free bet. Now, does a 25% chance of winning sound pretty small to you? It might at first, but this is extracting the maximum amount of value out the free bet. The winnings will average out if you place a lot of bets like this. Therefore, the key is in taking part in lots of these offers. The more you place, the more that 25% win rate will return to you in cash. Given enough time, this can be a very profitable approach to take. It may still seem difficult for you to see where the value comes from. 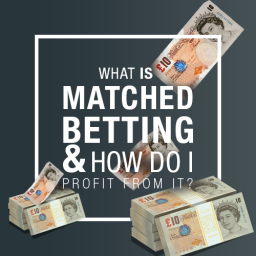 If you are new to matched betting then you might wonder whether it really makes sense. Are you making the most of the bookmaker offers in this way? You should remember that the value always comes from the bonus money. You aren’t going to make any money from doing this without using offers. If you just use your own money then you are probably going to lose. For instance, why not take a look at your Exchange balance. Take a look and see how much you are down over the last 3 months. For most Matched Bettors, this doesn’t make for pleasant reading. 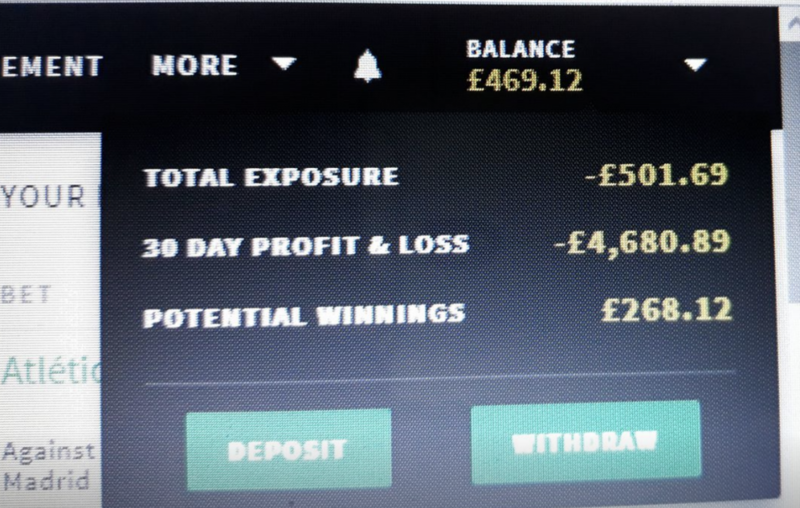 Looking at the image above shows a £4680.89 loss at Smarkets over 30 days all from laying off bonuses. If those bets had not been layed, that would have meant an extra £4680.89 profit. Obviously most users won’t be betting this much, it’s an extreme example. 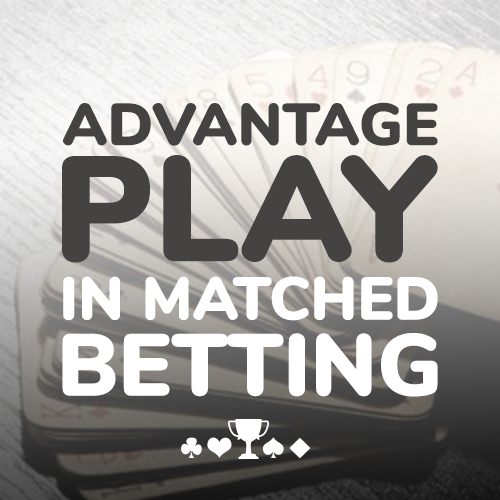 With advantage play in matched betting, the value is with the bookmakers. After a large enough sample of bets, you will see where the profit comes from. Keep looking for value with your advantage play in matched betting. The results might not appear obvious at first. However, over time extracting the maximum value will give you healthy profits. Effective Odds – How Do You Work Out if a Bet Has Value? 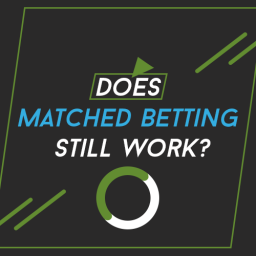 With any type of matched betting, choosing the right bet is crucial. Get this right and you are on your way to winning money. Get it wrong and expect to lose cash instead. This means getting odds that suit you. If the odds are wrong your bet is doomed. You need to turn the table on the bookies and put the advantage in your favour. To do this well, you need to understand what effective odds are. Quite simply, these are the actual odds that you will have taken. This is based on your potential winnings from your qualifying loss. This is probably a lot easier to get to grips with using an example. Let’s say that your qualifying loss is £1. In this example, we can imagine you stand to earn £50 profit. This adds up to give you effective odds of 50. How do you calculate your effective odds, then? It is quite easy, really. Effective Odds = Profit / Qualifying Loss. You should work out this simple calculation on every bet you are about to place. It will only take a moment to do. When is a deal worth looking at? Basically, when the effective odds are higher than the equivalent Betfair lay odds for the same outcome happening. In an ideal world, it will be a good few points higher. This gives you more value. If you place bets without this calculation then you aren’t fully in control. Therefore, you won’t be making the best use of the offers. In the example we just looked at, we used Betfair to help work out the true odds. You may wonder why we did this. Why is Betfair used as an indicator of the real odds on a bet? Well, quite simply Betfair is a highly efficient market. In fact, we can say that same about any betting exchange. There are a number of reasons why this is the case. In fact, I have looked at the efficiency of Betfair in the past. There are plenty of reasons why this is the case. For a start, it is a sharp bookmaker that instantly reacts to changes. The wisdom of crowds ensures their odds are highly efficient. By using the knowledge of a wide range of users, they have more accurate odds. All of this means that we can trust the efficiency of the exchange markets. So, it is a great way of calculating whether a bet really has value. You can safely trust the figures that you work out in this way for advantage play in matched betting. Keeping on top of your bankroll management is another vital matter. If you are going to make money from advantage play in matched betting this is crucial. Let it run out of control and you are probably getting into trouble. So how will you do this effectively? The first important point is that you should never risk more than 0.5% of your bankroll on any one offer. This is the absolute maximum that you should be putting at risk. After all, there’s no point in taking the risk. You could end up busting your bank if you bet more than this. Take the safe and steady approach. This isn’t about getting one huge win. It is a sustainable strategy for the long term. Another point is on the odds for free bets. Ideally, you will keep them at a figure below 10.0. You can extract more value at higher odds. But it isn’t worth the risk. Do these things and you will be giving yourself a solid approach. This sounds like a complicated subject, doesn’t it? The good news is that it isn’t really. All it means is that the more you bet, the closer you will get to the average return. This is especially important with advantage play in matched betting. As we saw earlier you may lose on some bets. In others, you may get a small profit. At first, it might look as though this strategy isn’t worth the effort. However, some good wins will be there for you before too long. Over time, you will see your average profit level out. It is only after doing this for a while can you truly judge it. The strategy works but you need to give it time. So don’t try it if you don’t the patience or bankroll to keep going. If you give up after a short time you might lose money. Keep going and you should win a nice amount. This means being patient for a while. Your early results aren’t the be all and end all. Keep betting and you will see the average profit start to become clearer. Is It Worth Doing Advantage Play If You Have 0% Commission? What if you have a 0% exchange deal? Is it worth using the advantage play approach in that case? This is a great question that deserves to be looked into. The fact is that you would be better laying the bets in this case. Why is this so? Well, one of the main reasons for using this method is to avoid paying commission. This helps to boost any profits that are made. Yet, is the extra profit on top of a 0% deal going to add up to much? No, this isn’t going to be much more. However, there is still a situation where this might be worthwhile. This is when you simply want to save some time. What if you are too busy to dedicate a lot of time to matched betting? Then advantage play is a perfectly fine way to do it more quickly. Which is the best Matched Betting site for Advantage Play? The best site for Advantage Play is Profit Maximiser. It’s been around since 2013 with over 20,000 people completing a full years membership. It’s full of professional Matched Bettors who are using this strategy. If you want to learn advanced Matched Betting methods to increase your results, Profit Maximiser is the best site for that. Most other sites focus on very basic newbie offers which is why most people don’t make much money. There’s a 14 day trial for £1 running at the moment. Click here for more information. As with any type of betting strategy, there are some downsides to using advantage play in matched betting. Are these enough to make you think twice about it? The main issue to look at is that of losing runs. This is something that you need to deal with using this strategy. If you don’t want to have losing streaks then you could stick to traditional matched betting. In that way, you will rarely lose. Even then the losses will minimal. The higher the odds you choose, the lower the chance of winning. This means that you could have longer losing runs. It is now time to look at the potential benefits. Are there enough of them for you give this a try? You may be particularly interested in the time-saving aspect. There is no time-consuming laying off to take into account. After you have put on your bet with the bookmaker that’s it. This is a crucial benefit for many people. What if you work full-time and have a busy lifestyle? Through use of advantage play in matched betting you can still make money from the bookies. Another good point is that you don’t need to keep funds in a betting exchange. If you like to keep your money in one place then this is ideal. You just need to have money with the bookies that you use. It is also worth noting that the estimated value is higher with this approach. This is because you aren’t paying commission. There is no lay commission on winning bets to worry about. This is a smart way of betting. There is no doubt that it has some advantages and a few disadvantages as well. All in all, advantage play in matched betting is right for some people. But it isn’t right for everyone. It really depends upon what is most important to you. By fully understanding this strategy, you at least have another good option to consider. with regards taking enhanced boosts as an advantage play. It’d be interesting to see how bookmakers decide which teams to boost in say a 3-team ACCA. Clearly, the William Hill and Skybet weekend special trebles are value, but have the bookies got any extra information compared to the market consensus. Hi MBZ, I’ve been betting on boosts without laying for years and have made a very healthy profit. I don’t think the bookies have any extra info.